In 1971, after Pecora became Under Secretary of the Interior, Chief Geologist Vincent E. McKelvey, a career scientist with the Survey since 1941. He was internationally known for his studies of phosphates. McKelvey, a graduate of Syracuse University with a doctorate from the University of Wisconsin, had served in several research and administrative capacities in the Geological Survey. He was internationally known for his studies of phosphates, had headed the Survey's program of exploration and research for the Atomic Energy Commission for several years, had been deeply involved in sometimes controversial estimates of long-range energy and mineral-resource needs, and had most recently been engaged in studies of seabed resources. In the year that McKelvey became Director, the Geological Survey had an operating budget of $173 million and 9,200 employees. Investigations and mapping were underway in all 50 States, Antarctica, and the Trust Territories, and technical-assistance programs were being carried out in Latin America, Africa, and Asia. Great strides had been made toward accomplishing the goals set forth in 1964. General-purpose topographic maps were available for 84 percent of the total area of the 50 States, Puerto Rico, the Virgin Islands, Guam, and American Samoa. Streamflow data were being collected at more than 11,000 gaging stations, water quality was being measured at 4,000 stations, and several hundred ground-water investigations were underway. Mineral production from lands supervised by the Survey was valued at more than $3 billion, and annual royalties were approaching $0.5 billion. McKelvey's term as Director was marked by an increase in multidisciplinary studies and in the diversity and complexity of Geological Survey operations, as well as an increased effort to make scientific information acquired through years of research available in a form most easily used in the solution of such contemporary problems. The pilot study of the San Francisco Bay region was followed by several similar studies of other urban areas. The marine program assumed new significance, for many regions of the oceans were less well known than the surfaces of the planets. Subsea mineral deposits might be resources for the future, but an understanding of the behavior of marine geologic processes was also of importance if people were to live and build along coasts and out into the sea. The marine-geology investigations included oil-and-gas resource appraisal, environmental investigations assessing the potential impacts of geologic hazards on the development of offshore oil and gas resources, geochemical studies of deep-sea deposits and engineering studies of deep-sea sediments, and the development of deep-ocean remote sensing instruments. Major efforts were made to delineate the hazards associated with earthquakes, volcanic eruptions, landslides, mudflows, ground subsidence, and floods, and advances were made toward a capability of predicting some of these disasters. Planetary studies were extended to Mars and other planets. A program to map the geology of Mars systematically, managed by the Geological Survey but involving both Survey and university geologists, was formalized with the National Aeronautics and Space Administration in 1971. A shaded-relief map of Mars was published in 1973, and by the time two Viking spacecraft landed on the surface of Mars in the summer of 1976, at sites selected by scientists at the Survey's Flagstaff, Arizona, office, the Survey had prepared more than 100 maps of Mars, Mercury, Venus, and the Moon in support of space exploration. The first Earth Resources Technology Satellite (ERTS-1, now Landsat-1) was launched in July 1972, beginning a new era in the acquisition and management of data. The Geological Survey established a data center at Sioux Falls, South Dakota, to handle distribution of satellite and other remotely sensed data. Investigations of the applicability of the data to geologic, hydrologic, geographic, and cartographic studies were begun. In 1973, the Geological Survey moved its National Headquarters from downtown Washington to a new building designed expressly for its needs in Reston, Virginia. It took on primary responsibility for operational research in seismology and geomagnetism by agreement with the National Oceanic and Atmospheric Administration, and 10 units of NOAA were transferred to the Geological Survey. It also began a Land Resource Analysis program in response to the need for earth-science data in land-use planning and resource management, primarily of nonurban areas not yet critically affected by growth and development but which existing trends indicated were in danger of being seriously impacted in the future. The long-anticipated energy crisis developed after the Arab-Israeli War in October 1973, when Arab nations embargoed oil shipments to the United States. On November 7, 1973, President Richard Nixon announced measures to address the energy crisis, including increased production from naval oil reserves, approval of the Alaska pipeline, and greater energy research and development efforts designed to make the United States self-sufficient in energy resources by 1980. In 1974, Congress directed the Geological Survey to provide a schedule and objectives for inventorying geothermal energy resources. In 1974, the National Topographic Mapping Program became the National Mapping Program to meet the increasing demand for basic cartographic data in all forms including digital cartographic data. The National Cartographic Information Center was established to provide a focal point for information on U.S. maps and charts, aerial photographs and space imagery, geodetic control, and related cartographic data. The Geological Survey and the National Oceanic and Atmospheric Administration agreed on a program to produce topographic-bathymetric editions of the 1:250,000-scale maps for the coastal zones of the United States, including those of the Great Lakes. In April 1975, the Land Information and Analysis Office was established to consolidate several multidisciplinary land-resource and environmental programs. One of its main objectives was to interpret and display land-resource information collected within the Department of the Interior in ways that were readily accessible and understandable to a wide range of users. In 1976, Congress transferred jurisdiction of the Petroleum Reserve in Alaska from the Department of the Navy to the Department of the Interior, effective June 1, 1977. Responsibility for administration of the continuing petroleum exploration program on the Reserve and operation of the South Barrow Gas Field was delegated to the Director of the Survey. The new activity brought with it a 50-percent increase in funds, but most of the increase was for contractual services. In 1977, Congress directed the Survey to establish a national water-use information program. It became part of the Federal-State cooperative program and by the late 1980's, 49 States and Puerto Rico were participating in it. In September 1977, Secretary of the Interior Cecil Andrus announced that he had accepted McKelvey's resignation as Director but that McKelvey would remain with the Survey as a research scientist. 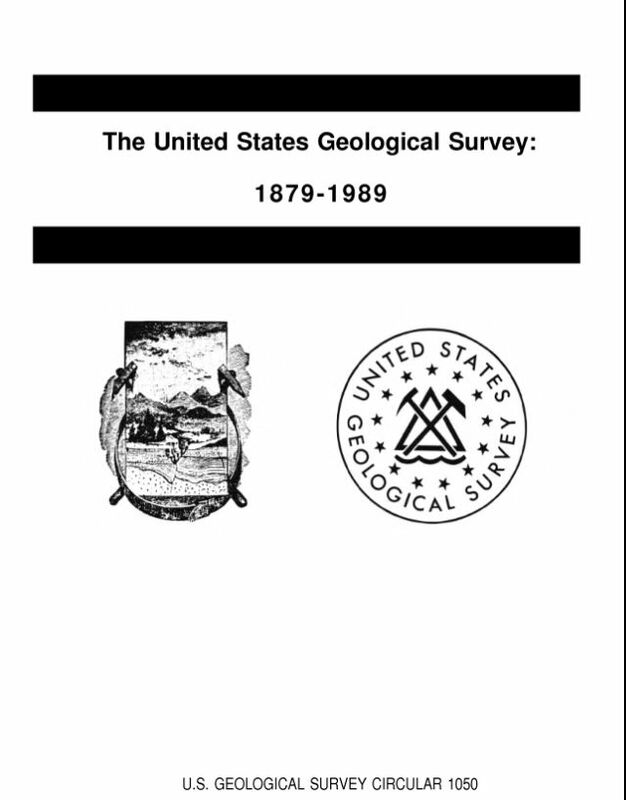 The United States Geological Survey: 1879-1989; 1989; CIR; 1050; Rabbitt, Mary C.